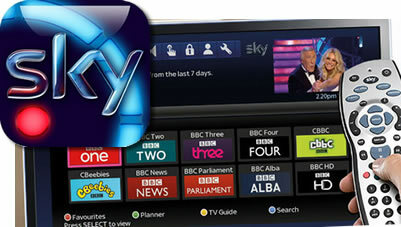 In a move which will surprise many that follow the business activities of satellite broadcasters Sky, the UK media giant have reacted to the potential threat of competition by bringing their pricing in-line with rivals, more specifically allowing their broadband service to be free for anyone who is a Sky Sports subscriber. The new effort is naturally one which has been made in direct response to BT Sport’s recent announcement, with the start-up set of three channels available for free to customers who are already signed to their broadband service, while also becoming a one-price package for new customers as the channel aims to tackle Sky’s sports broadcasting dominance on pay-TV. The full terms of the deal are that ‘new and existing customers’ of Sky Sports will receive 12 months of free ‘Sky Broadband Unlimited’ or six months of free ‘Sky Fibre Unlimited’ service. However, like BT’s anticipated line rental increase, the change’s to Sky’s structure will not be without a slight hike in cost, with Sky remaining on-course to increase monthly rates on TV subscriptions as of 1 September, a month after BT Sport launch their new service. Will the combination of such services gloss over that fact, though, and which one will be able to take most advantage of their offer? 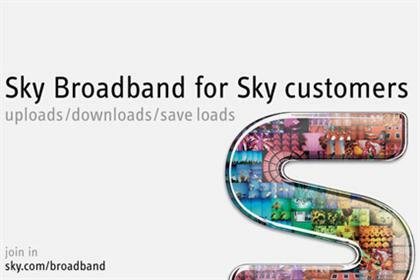 Sky marketing executive Stephen van Rooyen summarised of the decision to compete directly with BT: “Since we launched broadband in 2006, millions of customers have saved money and got a better service by switching to Sky. Now we’re making it even more affordable to enjoy totally unlimited broadband, including Britain’s best value super-fast connection. Telecommunications giant BT’s ambitious new venture into the UK’s sports broadcasting market has captured the imagination of many potential viewers, especially where its broadband customers (who will receive the channels at no extra charge) are concerned, but that tie-in could also be their downfall in some cases, after a price hike on their ‘line rental’ service has instantly been accused of being associated with their new sports channels. 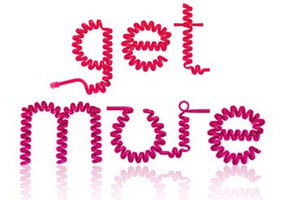 The London (England)-based company had announced the price increase on their ‘Line Rental Saver Plan’ from £129 per year to £141, with customers in return receiving a year’s worth of telephone, broadband, and TV services. Like all adjustments to a price that do not favour consumers, though, BT customers have complained at the increase, and noted that the 9% rise on the ‘saver scheme’ comes just two months before the launch of BT Sport’s 3-channel set in August. As BT (British Telecom) continue their attempts to enter the UK’s sports broadcasting market with a new channel next year, they are preparing for their entry by convincing some high-profile staff members from the BBC’s coverage of the 2012 Olympic Games to provide their services ahead of the launch. Looking to begin their coverage with some established names in the industry rather than a completely inexperienced new line-up, BT have so far recruited producers and presenters that have spent the summer on one of their most high-profile assignments, with host Jake Humphrey and ‘London 2012 Head of Production’ Jamie Hindhaugh joining the telecommunications company’s sports venture. The first announcement from BT came on Wednesday to confirm that Humphrey (best-known for presenting Formula One on the BBC as well as having a key role in hosting Olympics coverage and a ‘reporter’ position at the UEFA Euro 2012 football tournament) will cross over to the new channel at the end of the year, while Hindhaugh will start on the currently un-named new channel in mid-October, with a launch for the network likely to occur next summer. The channel will begin life with some high-profile content to attract viewers, as they are set to air football games from the Barclays Premier League, as well as exclusive rights to rugby from the Aviva Premiership (and supporting tournaments). Other content rights are rumoured to join the list in the future for a channel likely to be a subscription option across a number of platforms, led by the company’s own BT Vision service. The talk inside the new channel is currently positive, but as they prepare to compete with fellow pay-TV multi-sport networks such as Sky Sports, ESPN UK, Eurosport, Premier Sports, and London Legacy, will they be able to make an impact reflecting their hefty investment? UK broadcasters Sky Sports, fresh from a first year of their biggest challenge in the pay-TV sports market thanks to the arrival of BT Sport, have looked to keeping up their long-held status as ‘most subscribed’ with the introduction of a new-look website and mobile app ahead of a new European football season. The updates have been timed to coincide with the official launch of their new ‘Sky Sports 5′ channel, which will make its first main broadcast tomorrow (12 August) with the UEFA Super Cup football game between Spanish clubs Real Madrid and Sevilla. Sky Sports’ developments are noted as including a re-release of The Football Centre Score app, set to benefit from a new ‘video’ section, along with ‘enhanced match coverage’ that features previews, video, team form and statistics, alongside user-based customisation options for in-app notifications. In addition, the official Sky Sports iPad app is planned to become an optional ‘second-screen companion service’ for the Sky Sports News channel, featuring personalised news and catch-up content. 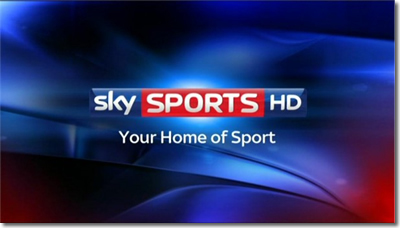 Updates to the iPhone and Android versions of the Sky Sports app, meanwhile, will include the ability to take part in user polls and see ‘breaking news alerts’, as well as incorporation of the new Sky Sports 5 channel as part of their streaming option. A final change comes via the network’s official website, which has gained a new design and minor additional features to correspond with the app developments.